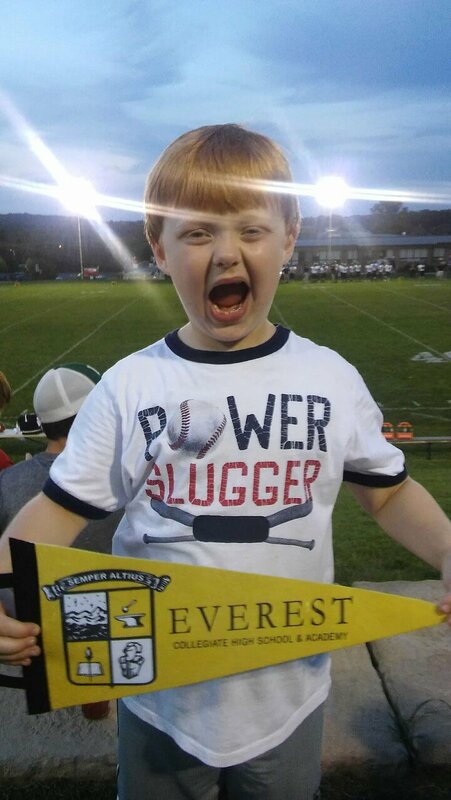 Everest first grader Robert is one of the newest fans of the EC Mountaineer football team. He showed his support at last Friday’s game during the New Family Night at Everest when our football team made their record 4-0. Come join Robert and the rest of the Mountaineers’ fans for the next game against Gabriel Richard Riverview this Friday, September 23! → Thank You to Mrs. Deb Martin!